I was in the grocery store the other day and they had cabbage for 59 cents per pound complete with all of the big, green leaves they start out with. I gathered up all that others had pulled off and bought a cabbage and steamed 14 of those big dark green vitamin laden leaves. I removed the mid rib and chopped those to freeze for soup and saved the half leaves for cabbage rolls. Tonight I wrapped those 28 half leaves around one ounce portions of chorizo sausage and froze them on a baking sheet prior to packaging them for the freezer. Oh, Ross, too cool. 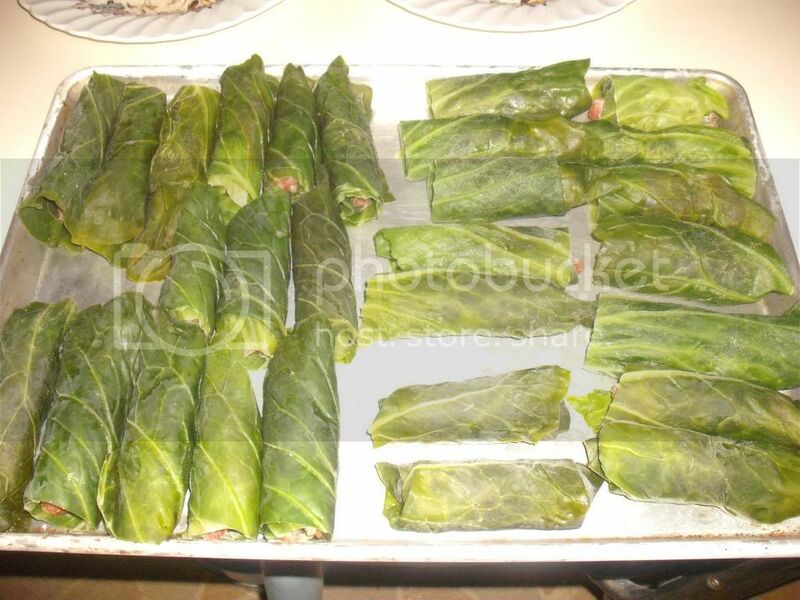 Did similar with napa cabbage on sale, wrapped chicken feta sausage in leaves and froze individually. What would civilization have done without stuffed cabbage?